All the waiting has paid off, we have it our hands. 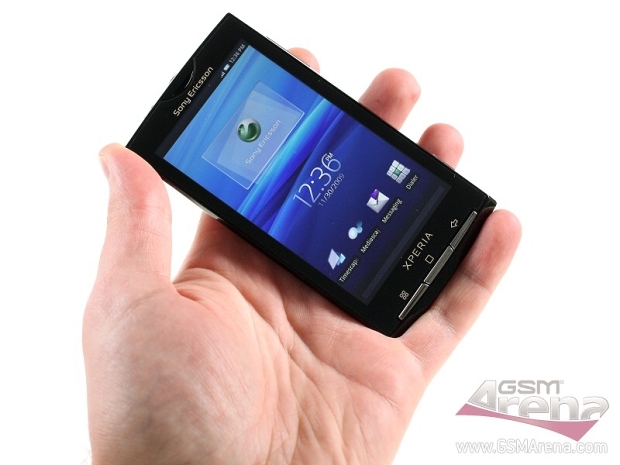 The Sony Ericsson XPERIA X10 or as its friends call it, Rachael, is in our office. It only just arrived, but we already have quite a bit to show you. Or more like tease you. We’re working on a preview but we just started so chew slowly. We’re still exploring the Sony Ericsson XPERIA X10, so I can’t really give you any spoilers for the preview, you’ll have to wait till tomorrow for that. Anyway, here are a few quick photos of the phone. Not that you don’t know how it looks, we’re just bragging. I said no spoilers, but I can give you a hint. No, make that camera samples. Both still photos and a video sample. Oh, and the camera interface is… oops, I almost let it slip. While I’m at it, Darth Vader is Luke Skywalker’s father. That’s all you’re getting out of me, for the rest you’ll have to wait for the preview, where we reveal that Leia is Luke’s sister. Oops yet again. And before I go, here’s the promised video sample and a download link to avoid the YouTube compression.